Modern and practical, unique and simple! 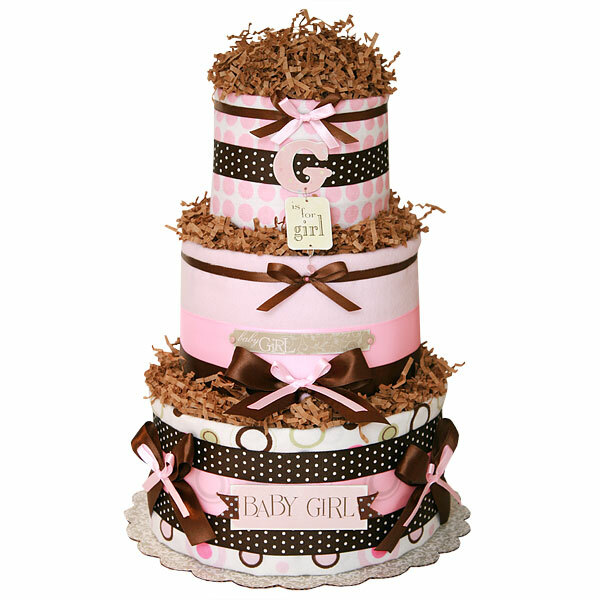 Three tiers Simple "G" It's for a Girl Diaper Cake is made of 40-45 Pampers Swaddlers diapers size 1 (8-14 lbs. ), Three flannel receiving blankets 100% Cotton, lots of bows and Scrapbook embellishments.